Back-Up Camera, Alloy Wheels, Bluetooth Connection, Auxiliary Audio Input. FUEL EFFICIENT 35 MPG Hwy/26 MPG City! SE trim. Warranty 10 yrs/100k Miles - Drivetrain Warranty; CLICK NOW!======KEY FEATURES INCLUDE: Back-Up Camera, Auxiliary Audio Input, Bluetooth Connection, Aluminum Wheels MP3 Player, Keyless Entry, Remote Trunk Release, Child Safety Locks, Steering Wheel Audio Controls. ======EXPERTS ARE SAYING: Great Gas Mileage: 35 MPG Hwy. 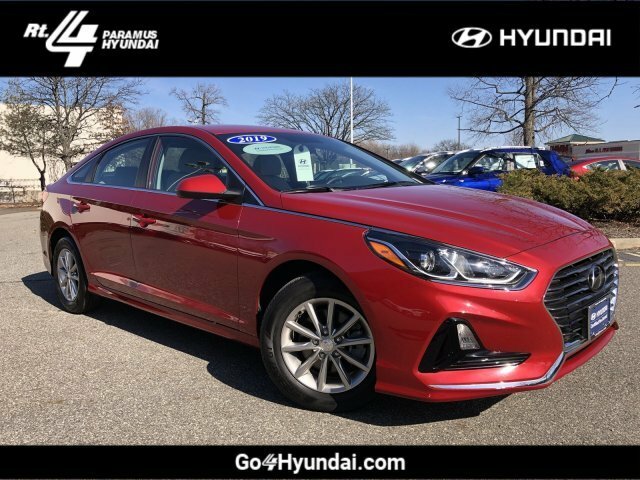 ======OUR OFFERINGS: At Hyundai of Paramus, we are dedicated to creating a hassle-free, comfortable shopping environment. Here you can buy at your own pace with the helpful assistance of our staff who is ready and waiting to service your every need without compromise. Advertised prices do not include tax and motor vehicle charges. Fuel economy calculations based on original manufacturer data for trim engine configuration. Please confirm the accuracy of the included equipment by calling us prior to purchase. **The advertised price does not include sales tax, vehicle registration fees, other fees required by law; finance charges and any documentation charges. A negotiable administration fee, up to $115, may be added to the price of the vehicle. A dealer preparation fee may be charged at time of sale for additional work and/or items requested by purchaser at time of sale. Vehicles listed as certified by dealer meet all OEM certification specifications. No warranties or service contracts are expressed or implied other then those that are included in final sales contract.